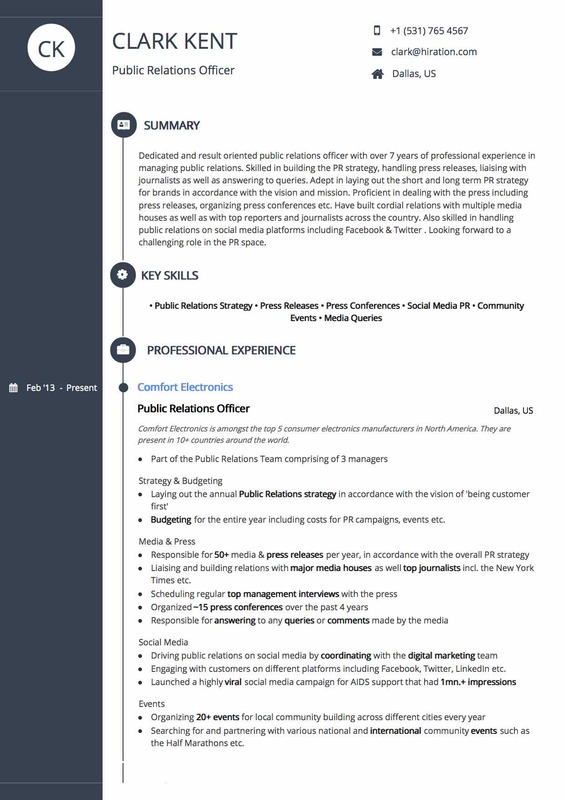 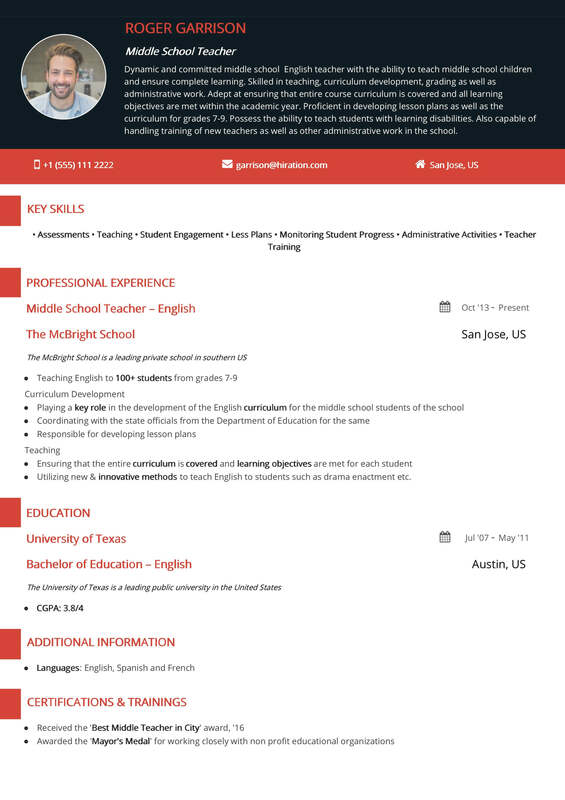 Premium: The Traditional Blue template is one of the highest rated templates on Hiration's Resume Builder. 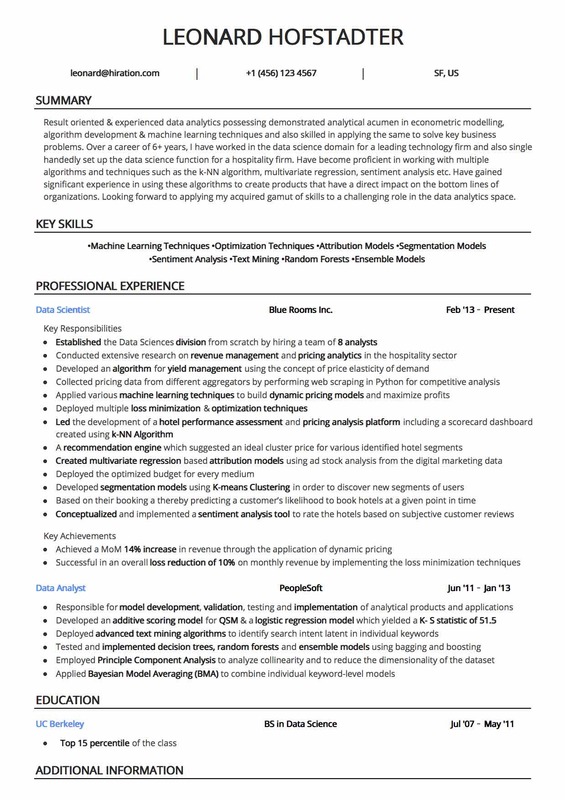 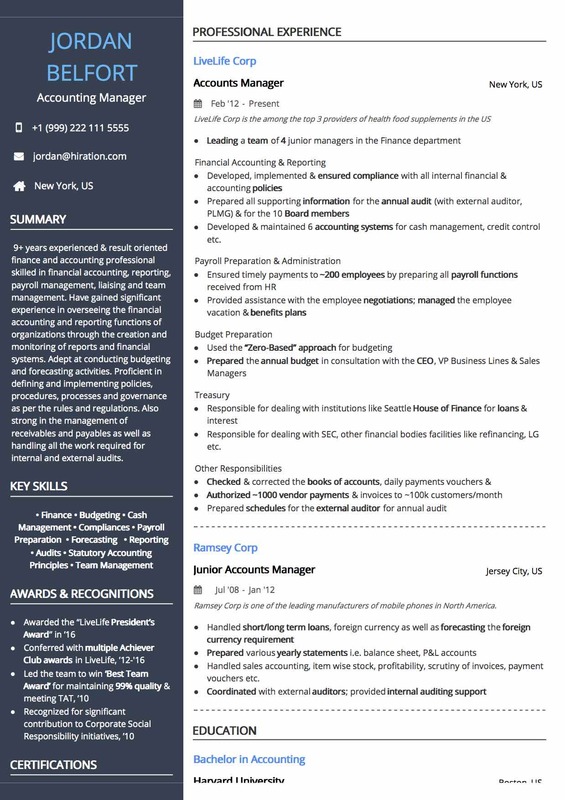 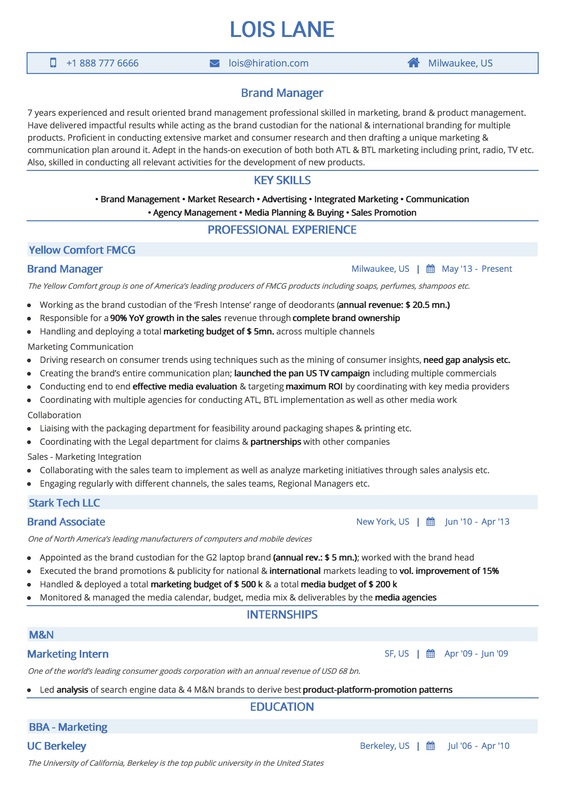 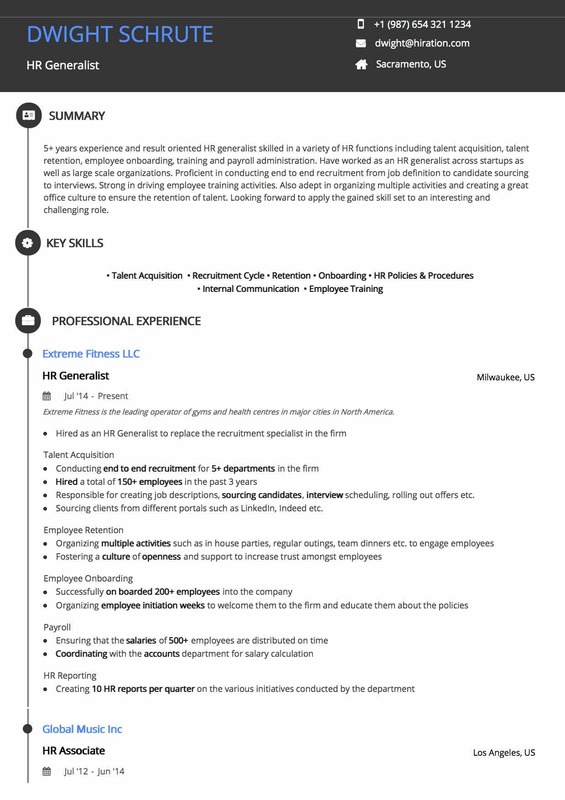 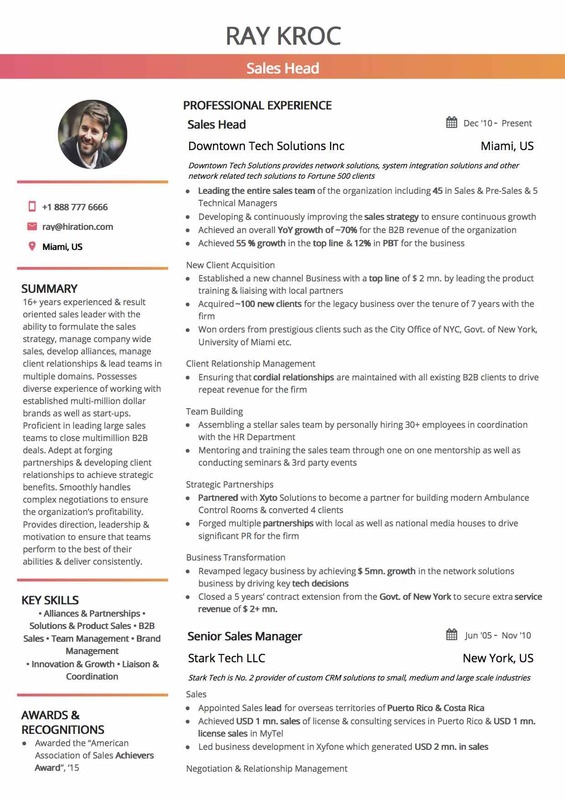 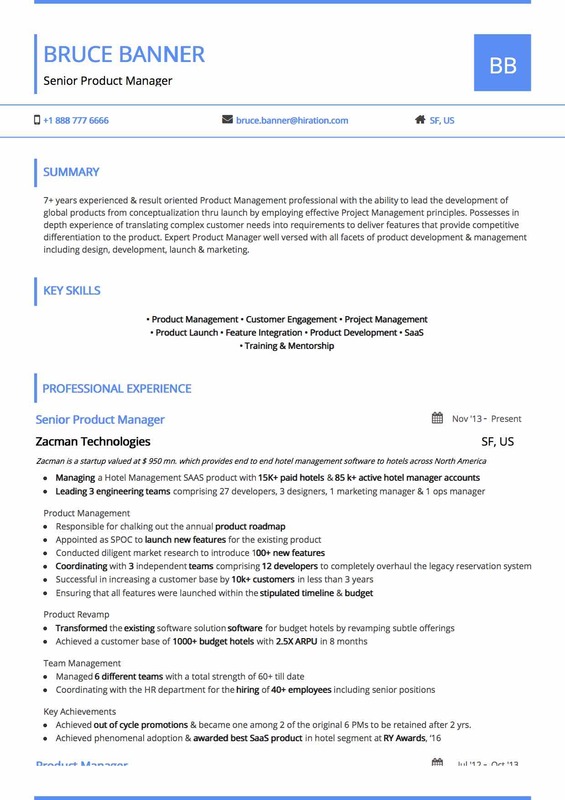 This template is highly ATS compliant and also receives an amazing response from human recruiters. 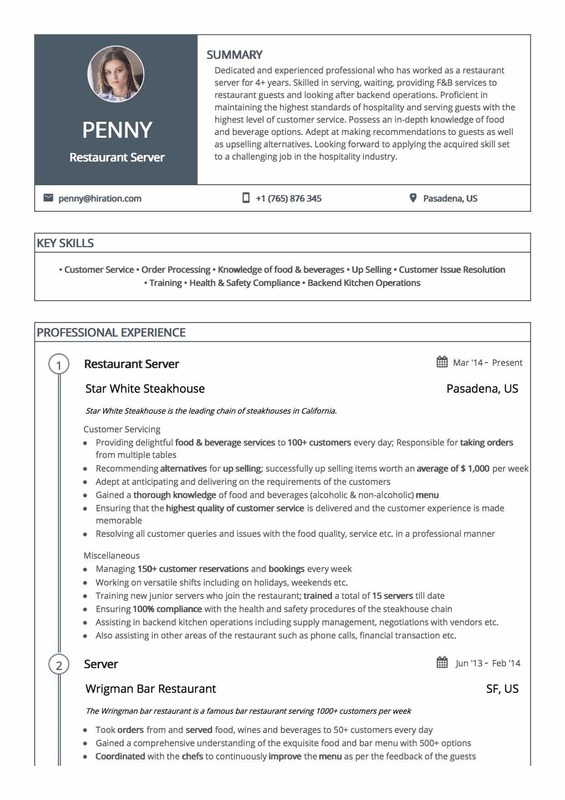 No wonder it's one of our best sellers! 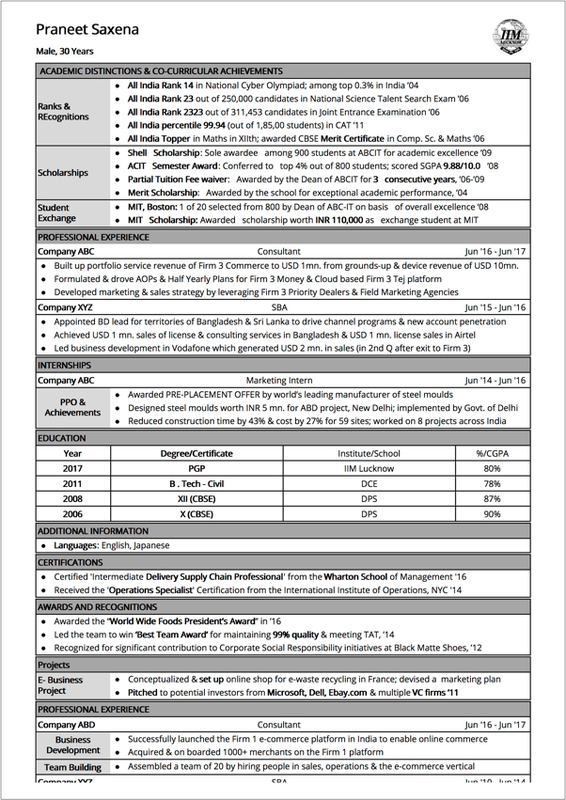 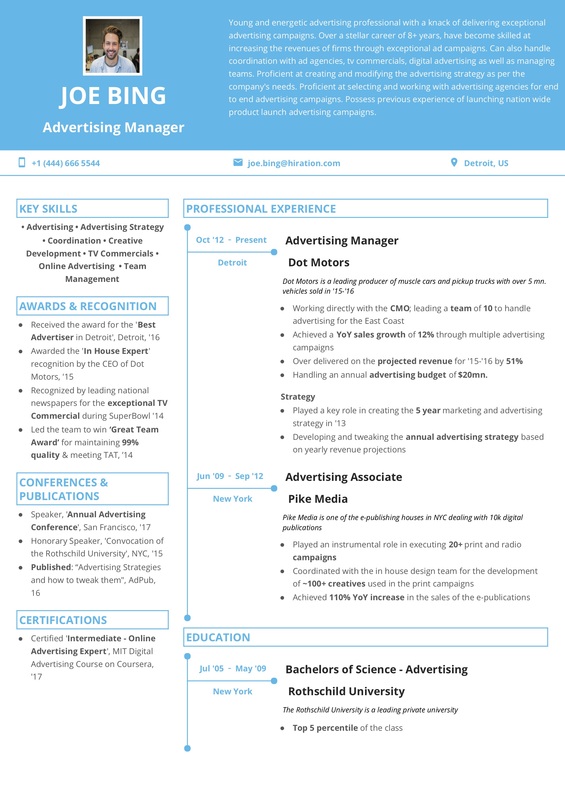 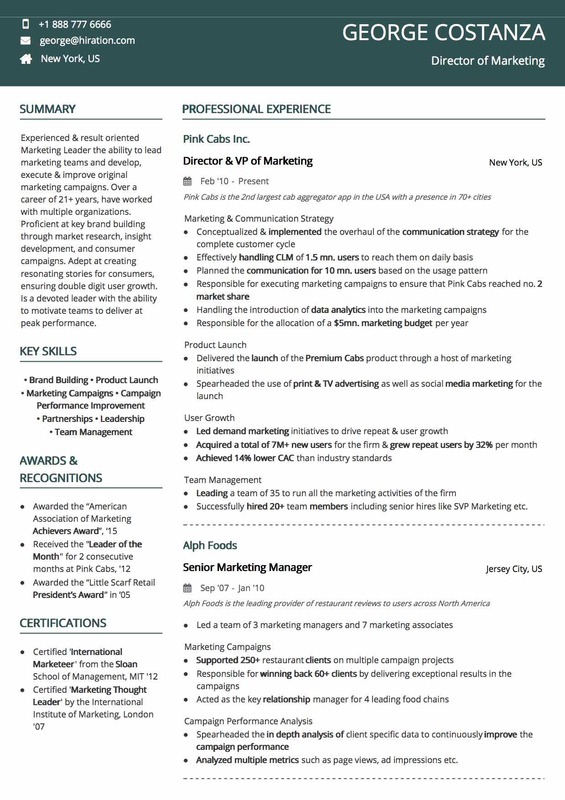 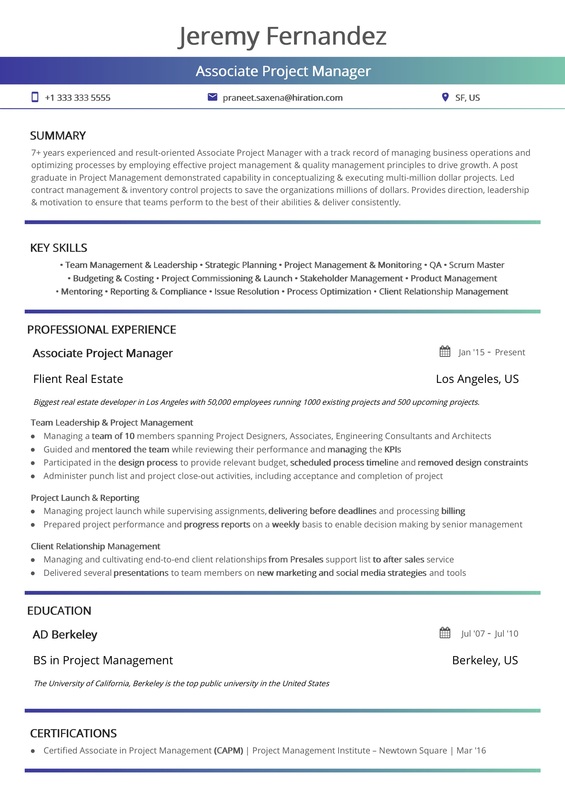 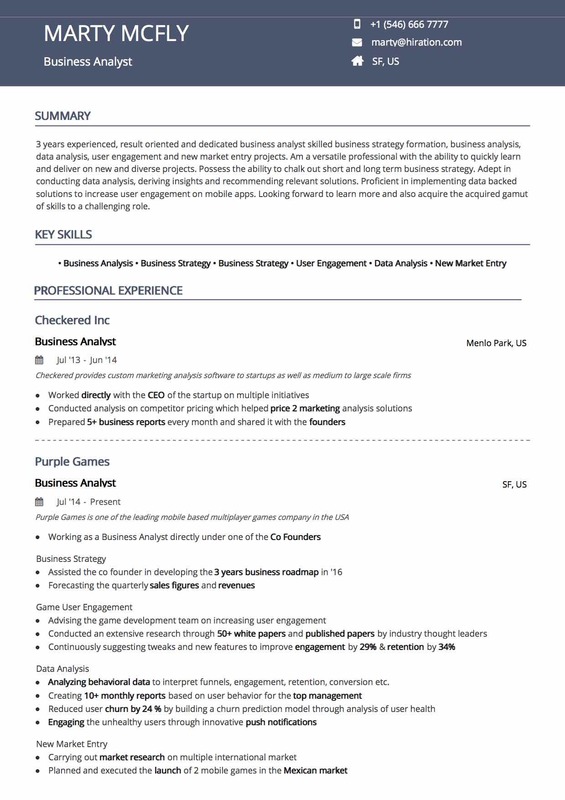 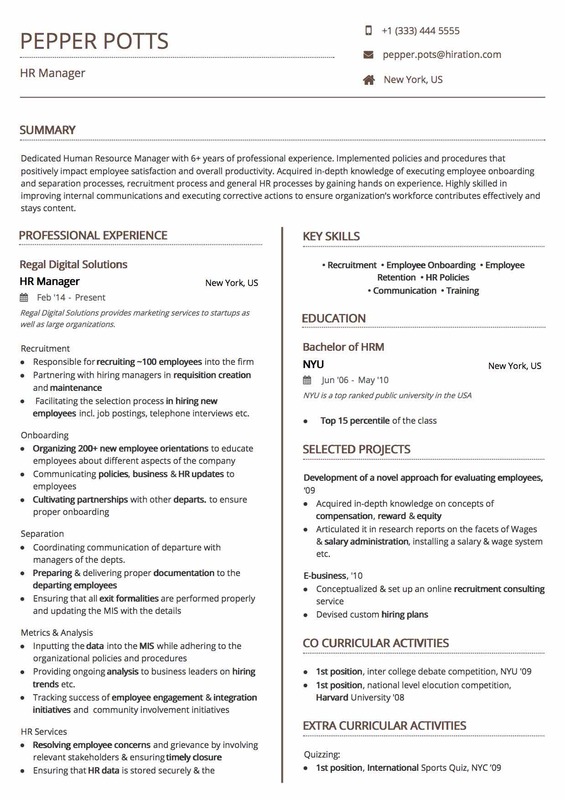 Structure: This resume template has been created for professionals who have a lot to present in terms of their experience and achievements. 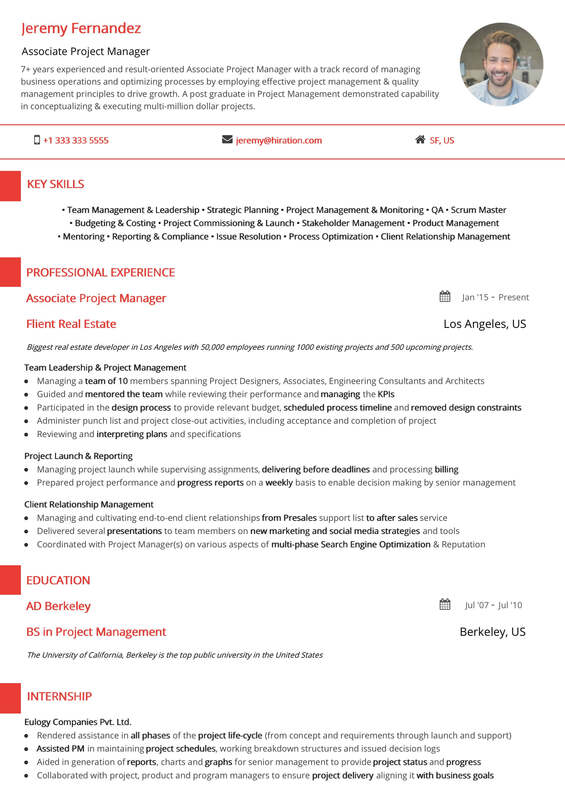 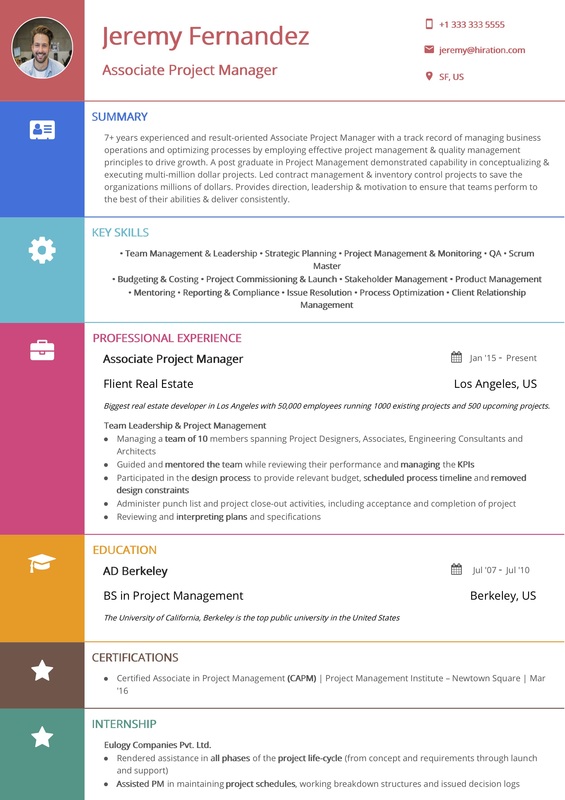 Hence, it has been made a single column template so that it is able to carry a lot of text in professional as well as project sections of the resume. 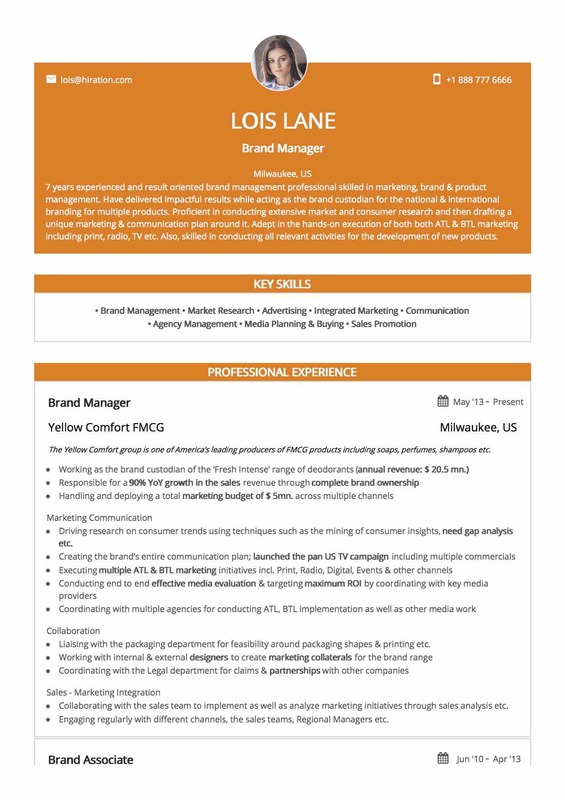 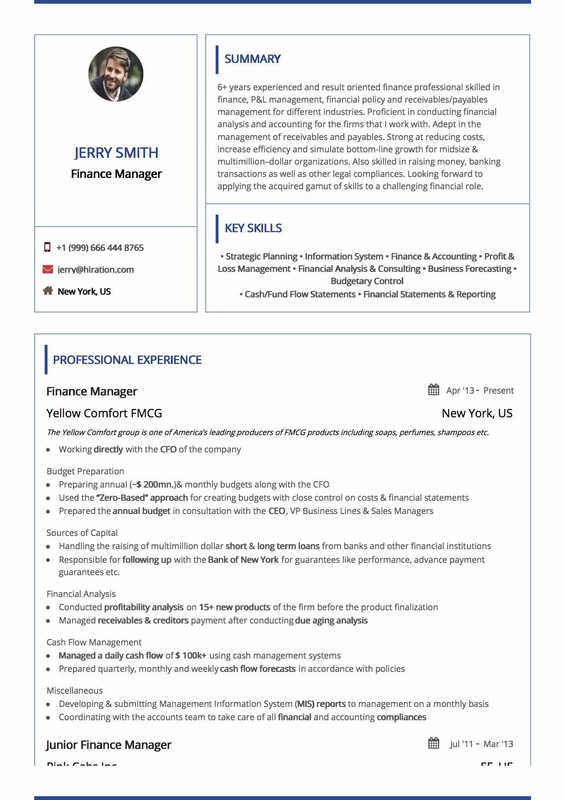 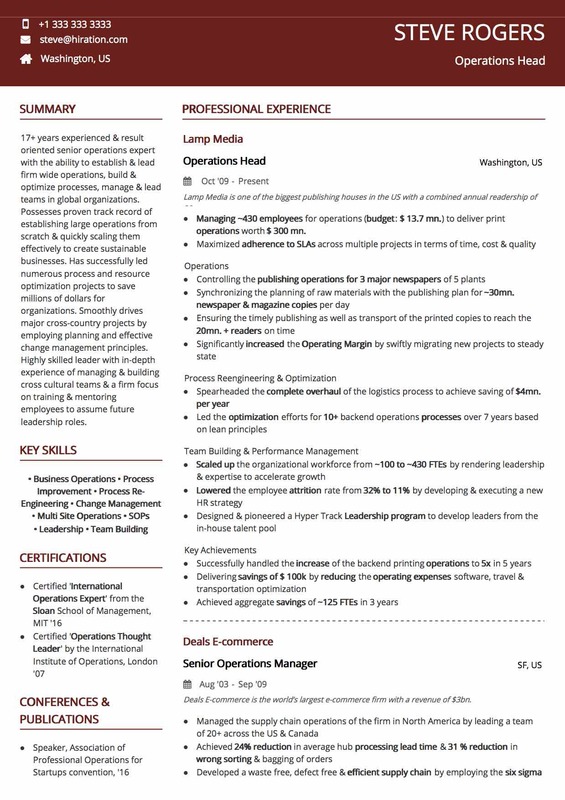 This template is ideal for mid-senior level executives who need that extra bit of professionalism in their resume, without compromising the look and feel. 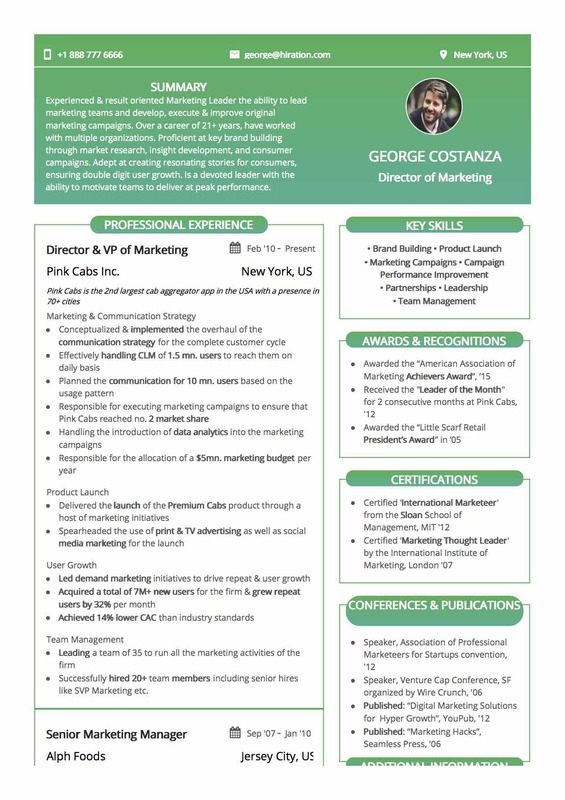 Design: As the name suggests, the template plays on very professional and sober shades of blue, with different versions being used to highlight various aspects such as headings, name, designations, titles, etc. 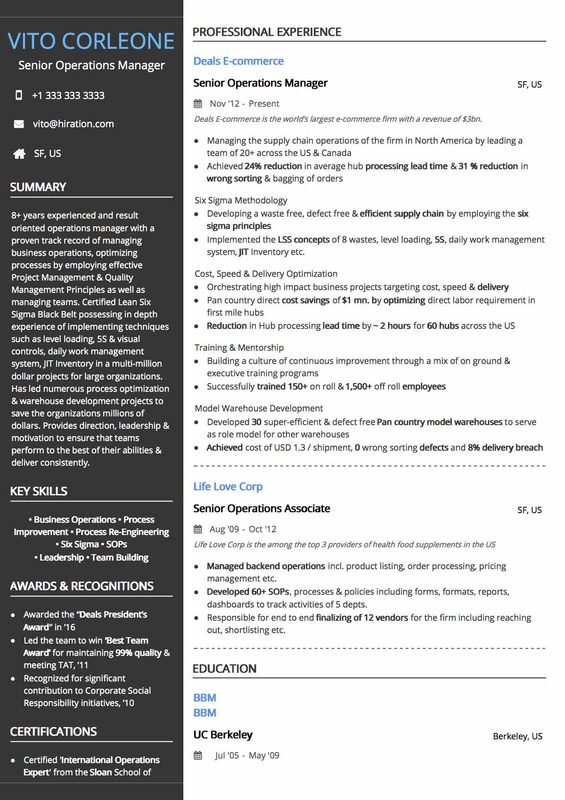 A darker shade of gray has been used for the descriptive text of the document. 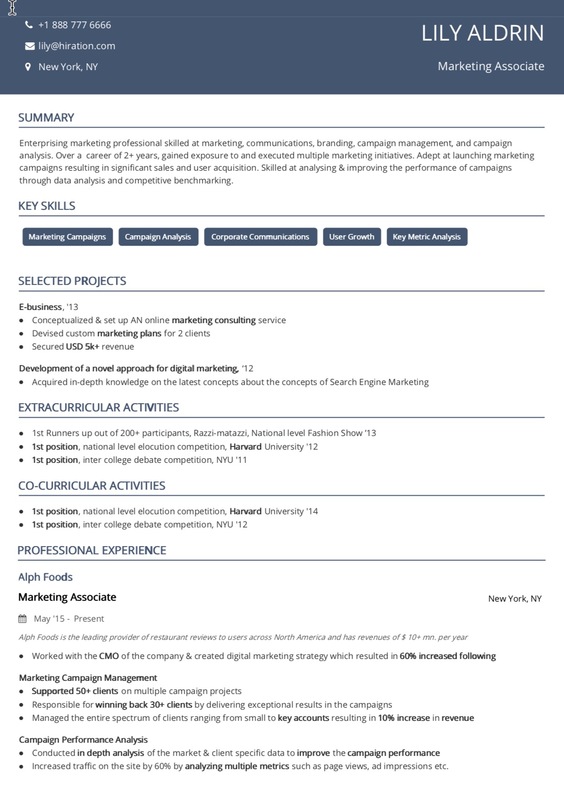 Typography: Typography in this resume template becomes really important. 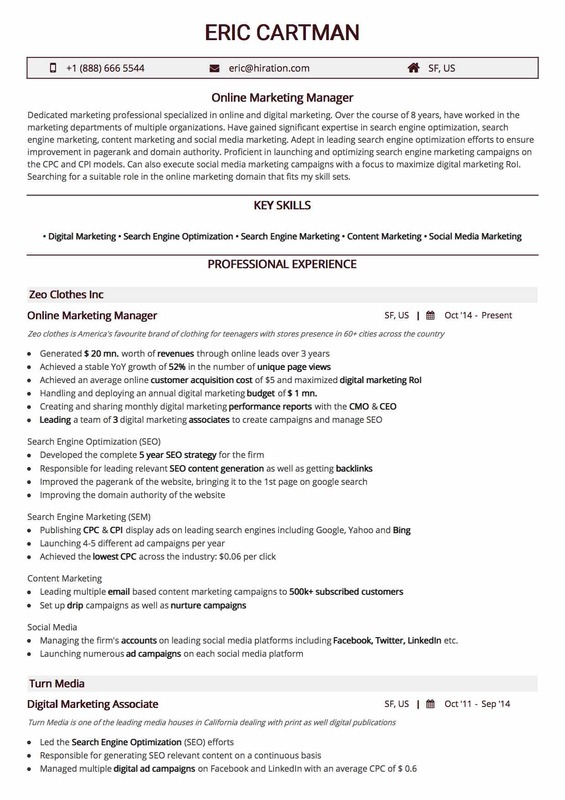 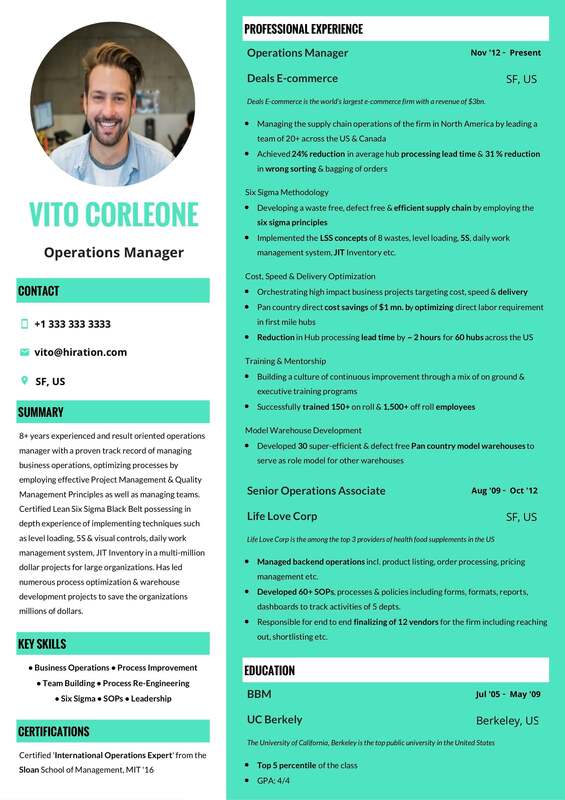 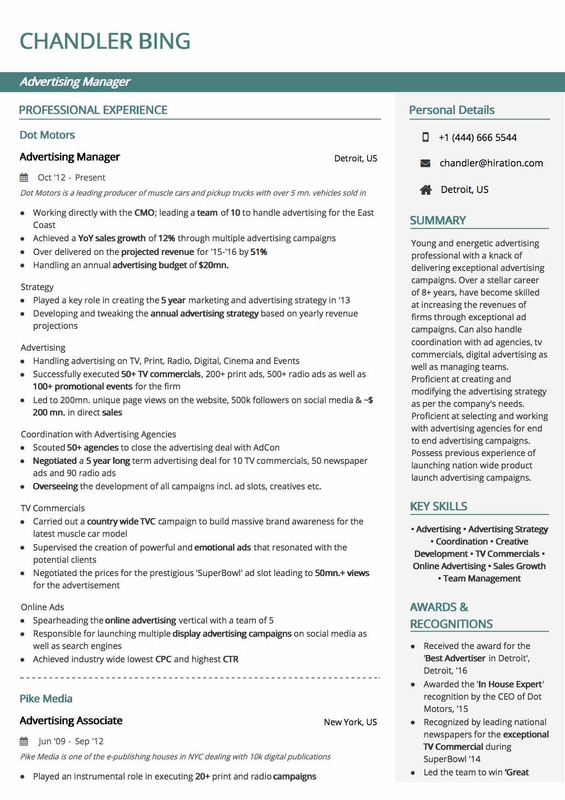 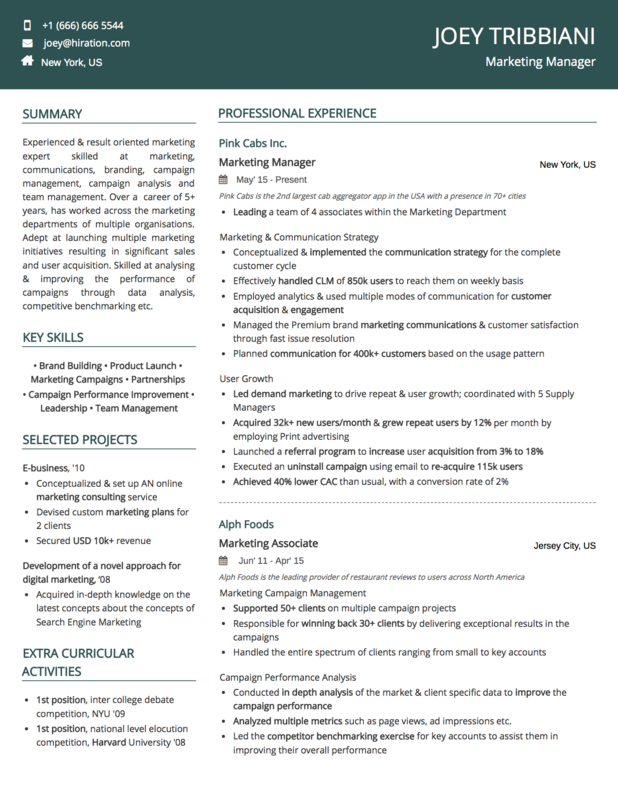 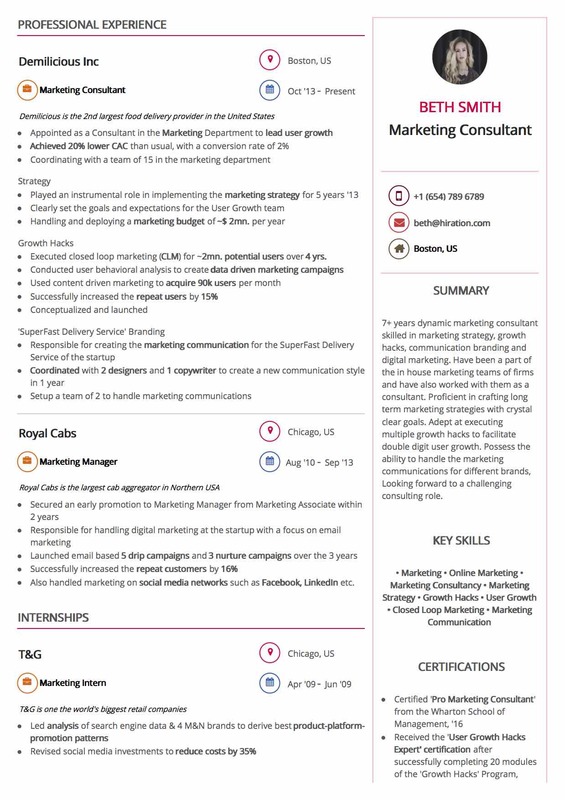 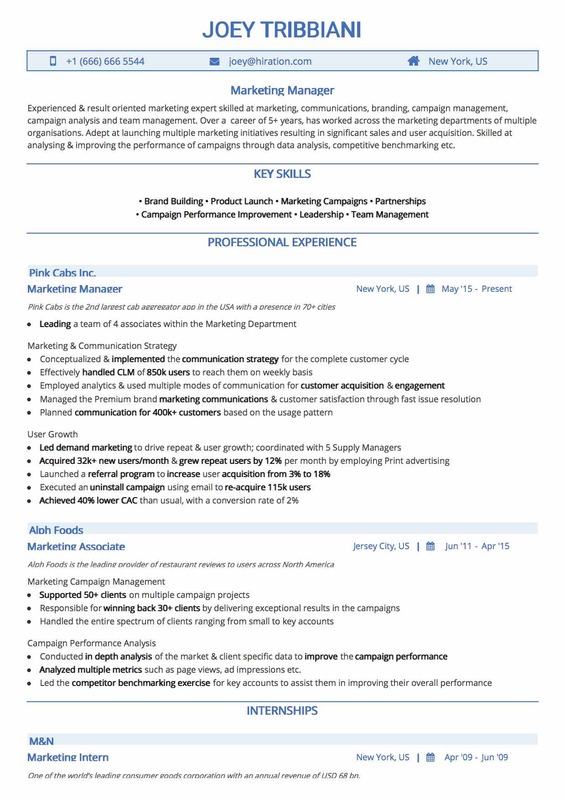 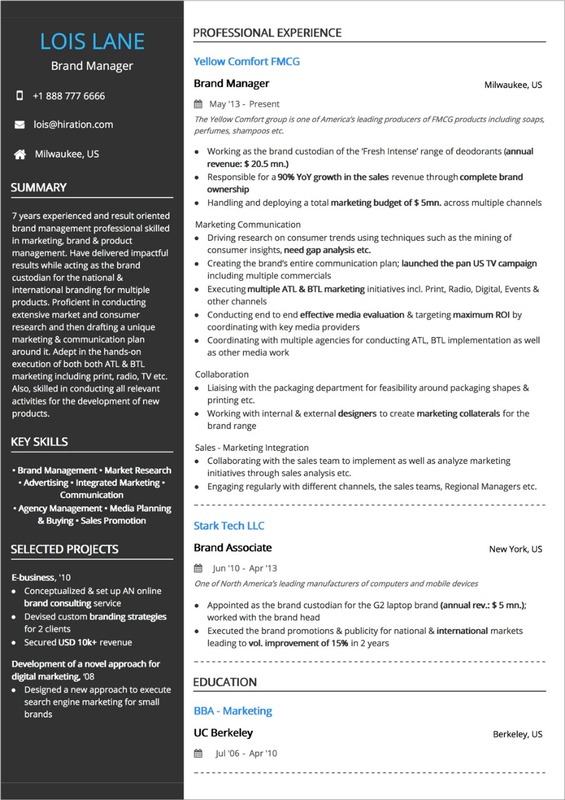 Since this template is for someone who has a lot of valuable content to write owing to their experience, the use of white spacing has been done very cleverly to give a spacious feel to the resume. 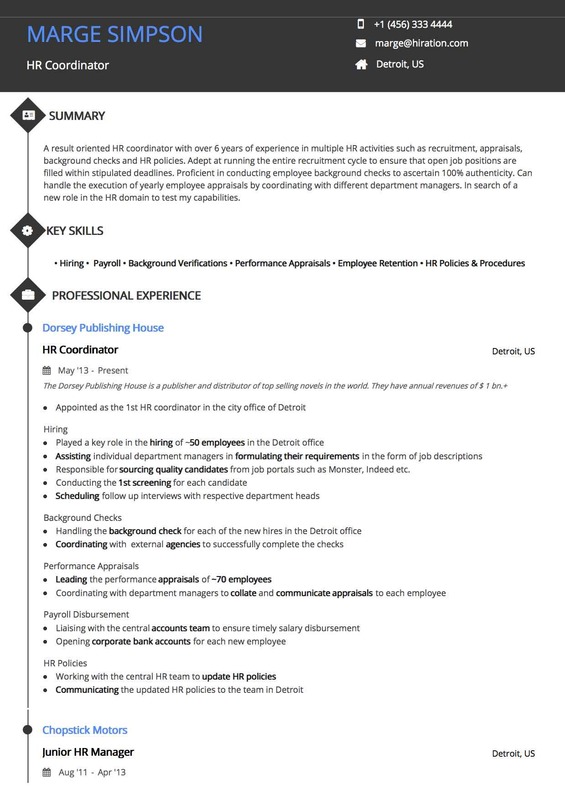 The great thing is that you'll be able to write all your content in the resume, without cramping it!